I do love the bouncing effect! And Tyler looks not-so-chubby on his new book cover. Sorta like the good ole days of Food 911. Thanks for the list, I'll put it to use! 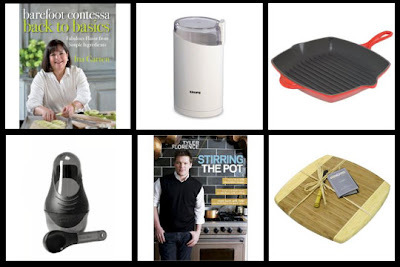 Oooh, I've always been curious about that Jamie Oliver gadget. Seems like a great alternative to a pestle and mortar. And you probably don't get peppercorns flying out of it, either.